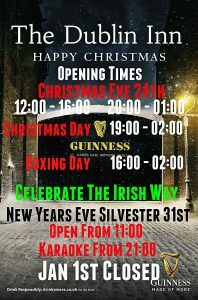 Come around for a Christmas drink with The Dublin Inn Family!! We are Showing the best of the Premier League over the Christmas New Year!!! !